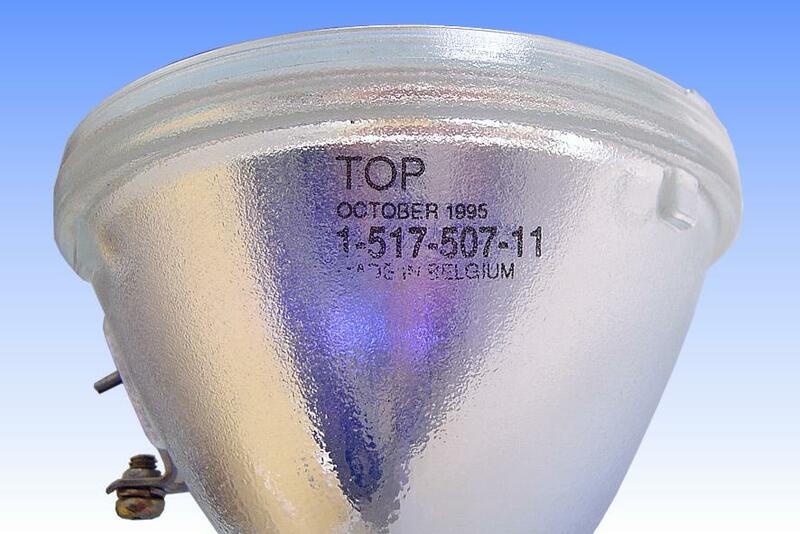 The introduction of the UHP lamp marked the advent of a new generation in digital projectors, and was one of the key enablers for the commercial success of these systems. Similarly the very high mercury pressure is of importance to achieve a suitable spectral power distribution. 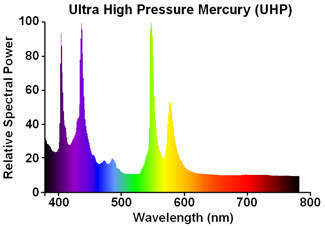 The mercury spectrum is usually lacking considerably in red radiation, but when the pressure is increased, a considerable portion of continuum radiation is generated. This depends very strongly on the mercury pressure. Typical lamps operate at pressures of the order of 200 atmospheres. Dropping to 160 bar results in a 20% decrease in red radiation. The electrodes are made from pure tungsten, with balled ends bearing a small protruberance at the tip. This is actually molten during operation, the high temperature being required to achieve a stable arc root without flicker. 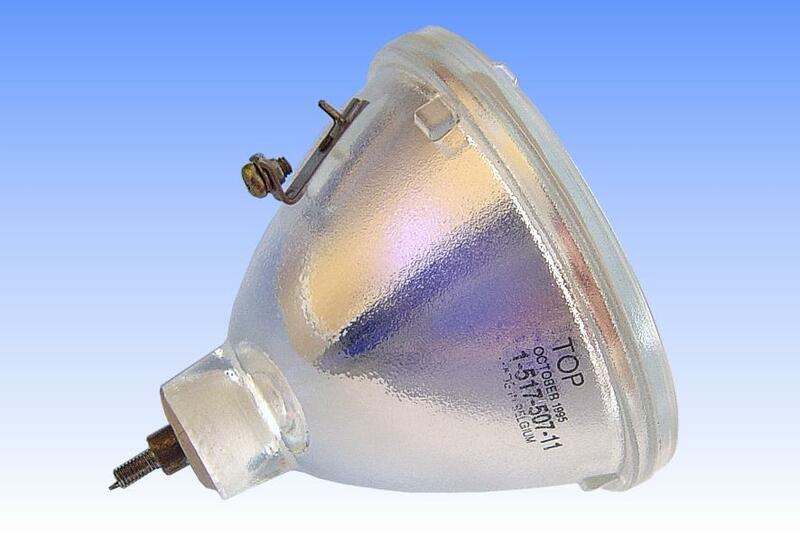 To prevent arc tube blackening, a halogen cycle is used. 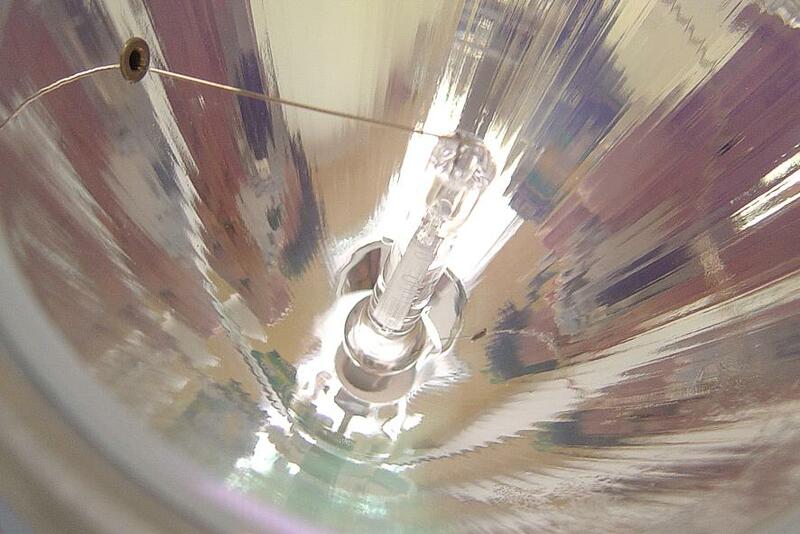 Lamp failure occurs only as a result of devitrification of the extremely highly loaded quartz arc tube. 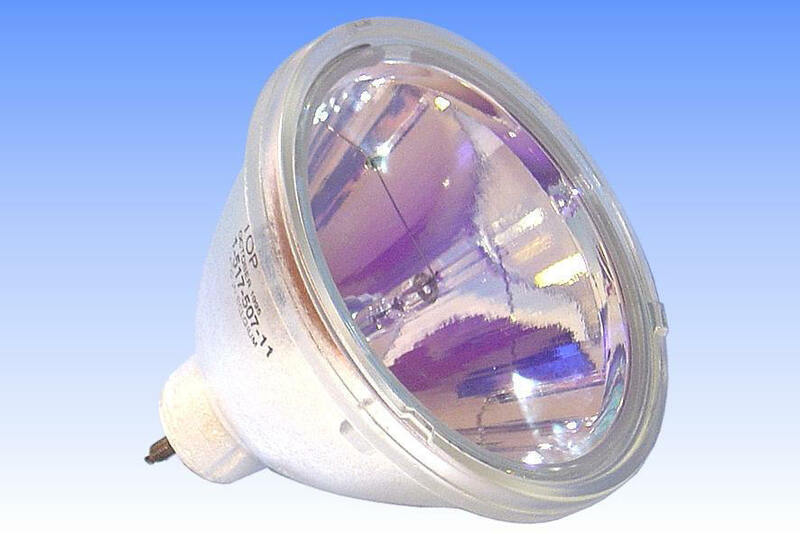 This effect contributes to a gradual light output depreciation over lamp life, as the effective source size becomes greater.